Our LOX therapists have over decades of experience of working with skin the Slow Beauty way. Trained by LOX founder, Janine Tait, they are experts in holistic skincare, skin nutrition and wellness support. Their Slow Beauty facials are second to none, and women travel to LOX from all over Tauranga for exceptional lash and brow grooming. Bringing 16 years of experience to the table, Steph is our clinic manager and senior beauty therapist. 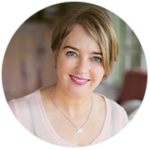 With her passion for holistic beauty and attention to detail, she helps her clients to fully immerse themselves in each wellbeing experience. Janice is passionate about infusing all her treatments with love and care. With her gentle touch she soothes and relaxes her clients. Jenny is a wonderful source of wellness wisdom and skincare expertise. Her story of skin transformation is truly remarkable. This gives her empathy as well as life-tested knowledge to be able to support you on your skin transformation journey.